Can Increased Educational Attainment Among Lower-Educated Mothers Reduce Inequalities in Children’s Skill Development? 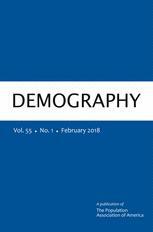 Family Trajectories Across Time and Space: Increasing Complexity in Family Life Courses in Europe? The Changing Safety Net for Low-Income Parents and Their Children: Structural or Cyclical Changes in Income Support Policy?